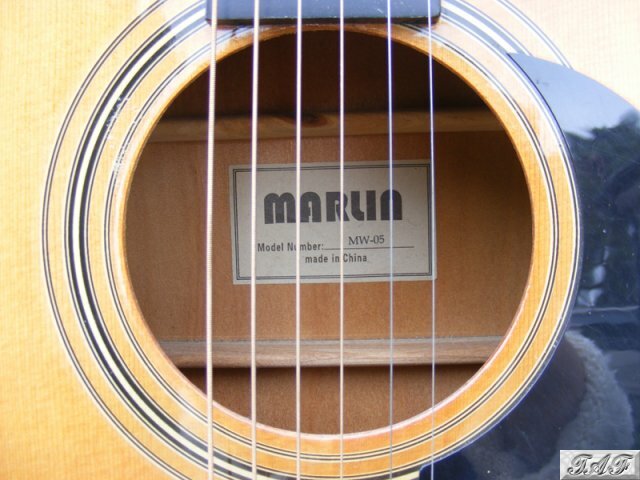 This is a used Marlin MW-05 Guitar. 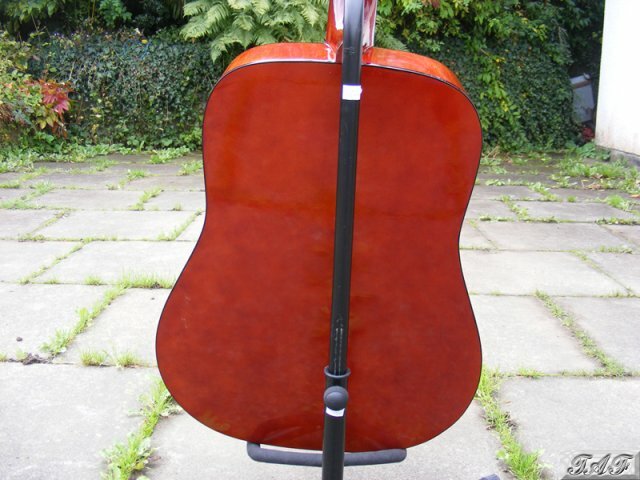 The MW-05 is a reasonable quality Chinese made beginner's steel strung guitar. 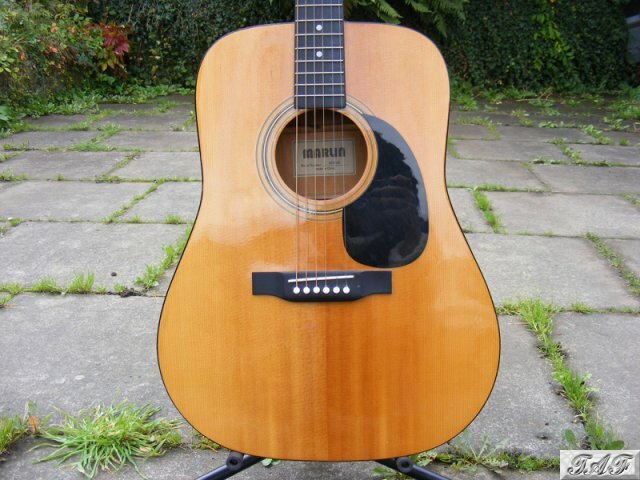 This guitar has a nice natural spruce top finished with a shiny lacquer, a black plastic pick guard and an adjustable truss rod in the neck. There are a few dings and marks from being carried around and played in various locations but no major damage. 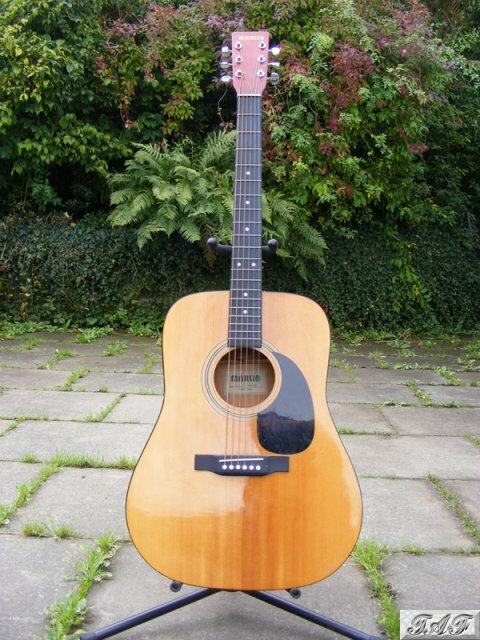 You are welcome to try this guitar before buying. Any questions, please fell free to get in touch through the "Contact Seller" button. Could be posted by Parcelforce, but the cost of posting will probably add another £20! Make an instant payment for the full price (£40.00 plus £0.00 postage) directly to the seller's PayPal account. Request an adjustment to the item's postage for local pickup or international shipping etc. If the seller accepts your request, you will receive an invoice by email for payment through PayPal. Contact seller to check availablity of the item or to ask any other questions or to arrange cash on collection or payment by cheque etc. Google Stumble Upon Twitter Yahoo!